Ariana’s Restaurant at The Lyme Inn is the new incarnation of Ariana’s Restaurant, offering the same menus in a different venue. This new endeavor is the culmination of some 40 years of culinary adventures. We offer two dining experiences; The Front Room, very much like our previous Orford establishment, and The Back Room, a more casual atmosphere. Both rooms focus on our Ariana’s Favorites menu . This menu features the core favorites that became very popular at the farm. While some items on this menu will change seasonally, such as soups, salads and accompaniments to entrees, many of them will never change. Because I love what I do, and like to work with many different ingredients, we offer a nightly Additions menu. This is where I really play, and you will find additional small and large plates every evening to add to our core menu, particularly featuring local and sustainable meats and seafood. In addition to the regular dining rooms, also have a smaller, private dining room, The Tasting Room, which can seat from 8 to 12 guests. This room has been beautifully decorated in a strong wine theme using Inn owner Bayne Stevenson’s private collection, and is a very special place to enjoy with a larger group of friends or family. In this room, we focus on multi-course food and wine pairing dinners, similar to our popular Wine Dinners. I love to create small plates, offering different flavors and ingredients, and enhancing them with selected wines. As a result, when reserving this room, we will need to spend a little time, 4 – 5 minutes, discussing menu, food concerns an any special needs. While I encourage you to consider our tasting dinners, I understand that this may not work for everyone, and I am happy to work with a limited, three course menu as well. 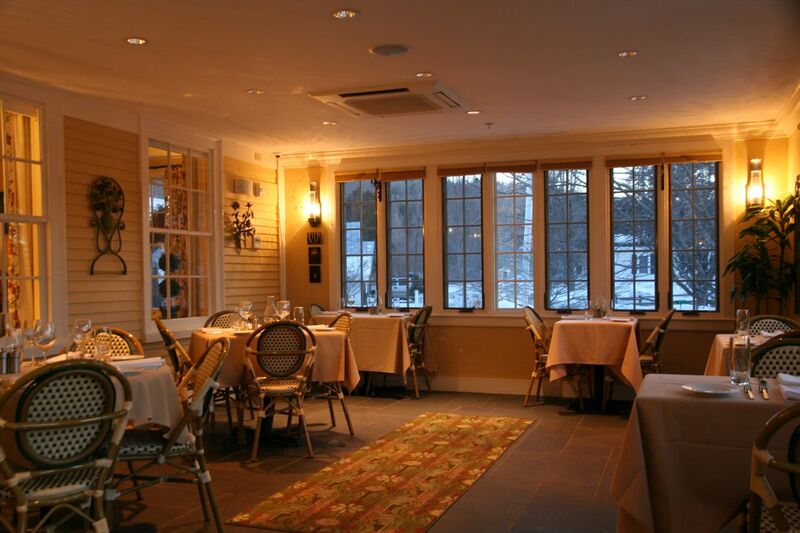 Please keep this room in mind for a special night with food and wine. Along with our extensive wine list, we enjoy a full bar and beer on tap here at The Lyme Inn. Our Specialty Cocktail list, created by bartenders Ashley and Ryan changes with the season. Our draft beer list changes with our whim. Our every effort is to provide you, our customer, with the best possible dining experience at Ariana’s. In order to do this, we must control when people are seated. In general, 90% of all customers prefer to eat between 6 and 7 pm. However, because we have so many tables, and our food can not be executed at a fast pace, we need to space the seating; aiming for 2 tables every 15 minutes with 2 hours for each reservation of 4 or fewer. For the same reasons, we must limit the number of tables larger than 4 guests to two per evening in the regular dining rooms and one in the tasting room. I ask that you plan ahead when you have a very specific time and number of guests, and that you try to be flexible with our availability. Yes, we are happy to accommodate walk-ins and last minute reservations, with some limitations. We have 18 seats in the Back Room, between bar seating and coffee table-style seating, that are available on a first-come, first-served basis. We do not take reservations for these seats. In these areas, you can enjoy both the Ariana’s Favorites and Additions menus as well as our new Tapas offerings. Additionally, if we have had a last minute cancellation, we may also offer you the option of a table. We never like to turn guests away however there may be times when we do not have any other option. 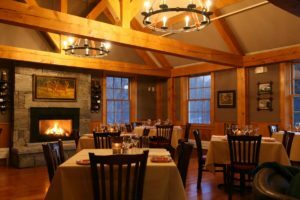 We are fortunate that the Town of Lyme has an other fine restaurant, The Latham Tavern in the event that we cannot seat you. To offer a range of menu choices reflecting many different palates. To source seasonal, quality and local whenever possible. Children are always welcome. We do not offer a children’s menu but are happy to make smaller portions of our menu items with fair pricing. At Ariana’s, we pride ourselves on using fresh, local, and sustainably raised products. We work with local farms for much of our product and, for items not locally available, use ethical suppliers a bit farther away. We do not source from factory farms. Our ultimate goal is to offer the best quality product, and local, sustainable, and ethically raised provides that. All food can taste incredible with some thought and creativity. Ariana’s has always worked to accommodate special dietary needs. Our sauces are all gluten free by default, as we create them by reduction, avoiding the need to thicken with flour. We regularly offer vegan, vegetarian, gluten-free, and dairy free menu items. And, should you have a special need, simply call ahead and we will do what we can to adapt our cuisine to your needs.